Driving in New Zealand – we adhere to traffic from the right and drive on the left. Coming into the snow season, driving can be dangerous. Think rain, snow and sleet – we can’t change the weather but we can help change how you drive! If you are driving to snow resorts you will need a four-wheel-drive and snow chains. Our roads are narrow, windy and access to ski resorts is dangerous and slippery. Have an emergency pack handy in the car, equipped with a first aid kit, spare food, blankets and a torch. If you car is left coated after a snowfall – leave your car idling for ten minutes, turn on the defrosters and defoggers, and clear the outside of your car by using warm water and brushing away the snow. When the sun is bright, the snow reflects the light that makes it harder to see. When it’s dark and it’s snowing, snow reflects the cars light rays that gives the appearance of an abundance of white and makes it harder to concentrate – so focus, drive slowly and make sure your windscreen is clear of any frost. 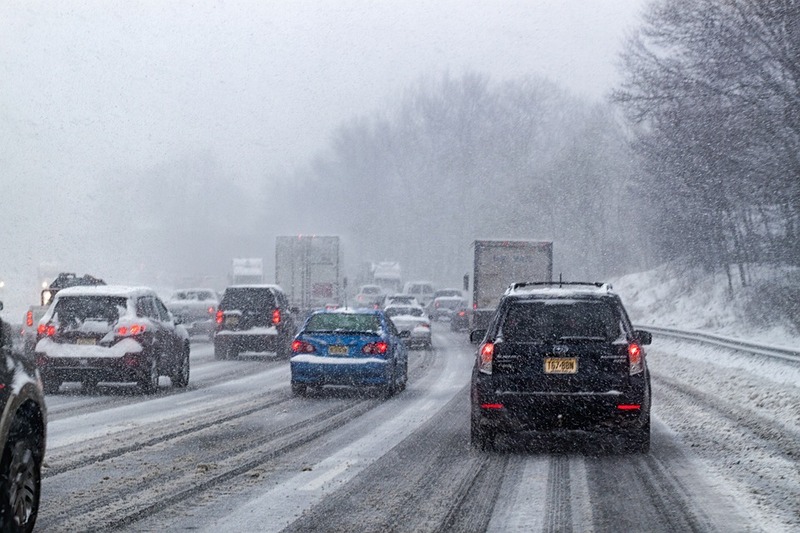 When on the road, keep a safe distance from other cars incase someone suddenly stops, or hits ice and swerves. The typical rule of thumb is two seconds – find a landmark and count one Mississippi, two Mississippi, between the time the car in front passes, until you pass. Don’t suddenly brake or turn without indicating and in snowy, slippery conditions, take extra caution. If you feel the car sliding or drifting slightly, it means that you are driving too fast. Take care of black ice – this is a thin layer of ice and invisible to see (the term ‘black ice’ is misleading). Black ice forms due to the heat of tires on the road coupled with freezing temperatures, and is found on parts of the road with less sunshine. Keep an eye on weather and highway reports. If you hit black ice – don’t use your breaks and turn your steering wheel, very gently, in the same direction the car is moving. If you steer in the opposite direction you can run the risk of skidding or spinning out. De-accelerate; shift the car into a lower gear and head for areas that provide more traction, such as snow-covered areas or sand. If you don’t want the responsibility of driving – check out our guided snow tours, that use local, licensed tour guides!